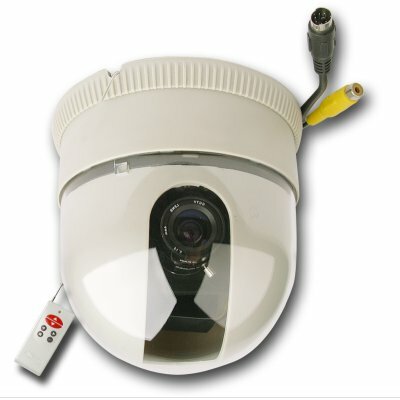 Successfully Added SONY CCD Dome Camera - Pan + Tilt Control -NTSC to your Shopping Cart. High definition NTSC security dome camera with an included remote for panning and tilting the camera to keep track of objects. An excellent indoor security device, this wired dome camera will easily keep eye on objects via remote control during the day, and when nobody is around for direct control, simply push the AUTO key on the remote and the dome camera will slowly pan and tilt for constant area surveillance. With its incredible low price and great features, this is a dome camera sure to keep your business safe without having to break the bank to do so.